Located within the fashionable Church Street, the luxurious 3 storey building boasts 7 treatment areas, a relaxation lounge, a resident nurse specialist, an in-house make-up artist and a spa shower room offering advanced beauty treatments, exclusive skincare and make-up from our friendly and experienced staff. Courthouse Clinics performs a vast selection of innovative aesthetic treatments within Courthouse Medispa that can assist with the signs of ageing, pigmentation issues and blemishes. This location specialises in helping men and women achieve their aesthetic goals through treatments like laser hair removal, facial rejuvenation treatments and anti-ageing injections. 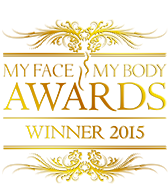 Our Hereford clients can choose from a variety of non-surgical options for the face, body and skin. MBBS, MRCEM, MRCS (II) England. Dr Ana is a UK qualified cosmetic doctor with a wide range of surgical training experience. She has deep-rooted passion for Aesthetic Medicine and Cosmetic Dermatology for many years. Dr Ana is a keen aesthetic injector and is enthusiastic about an individualised approach to treatments in order to rejuvenate, balance and enhance your unique features.